Jordan Brand’s signature model this year has been very successful and the excitement is expected to reach another level with the release of a new variant of this model. 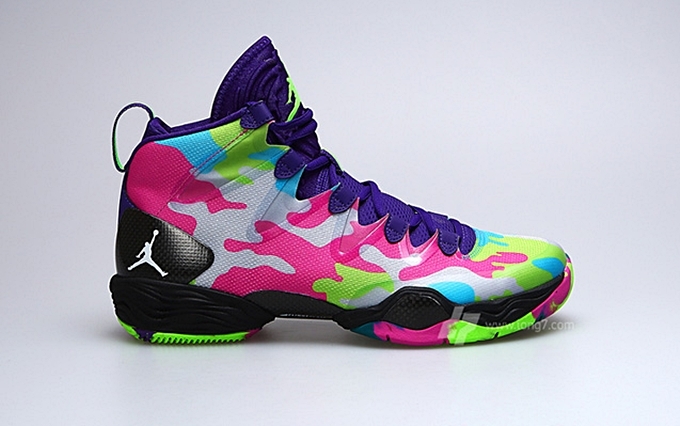 Known as the Air Jordan XX8 SE, this shoe is now available in its first colorway – the Court Purple/White-Flash Lime-Gamma Blue colorway of the shoe. This camo-inspired sneaker is dubbed as the “Fresh Prince of Bel-Air” edition of the shoe since it is included in JB’s “Bel-Air” Pack this month. Make sure to get your hands on these excellent kick now!